The Cheesecake Factory® boasts an impressive assortment of tasty cheesecakes. 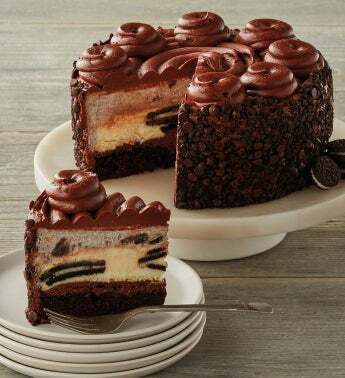 One of their many standouts is the OREO® Dream Extreme Cheesecake, which features OREO® cookies baked into a rich cheesecake filling and topped with layers of fudge, OREO® cookie mousse, and decadent milk chocolate icing. The dedication and craft is evident in every single bite. And you can't go wrong with the classic and timeless flavor of these cookies, especially when combined with the ease of having cheesecake delivered to your door.